Tuesday, December 7, 2010 will go down in history as one of the best night's of my life. The Cupcakes Take the Cake 6th Birthday Bash in Seattle was one the biggest events I've put on in my adult, professional career and I am definitely more proud of this accomplishment than I am of almost anything else. 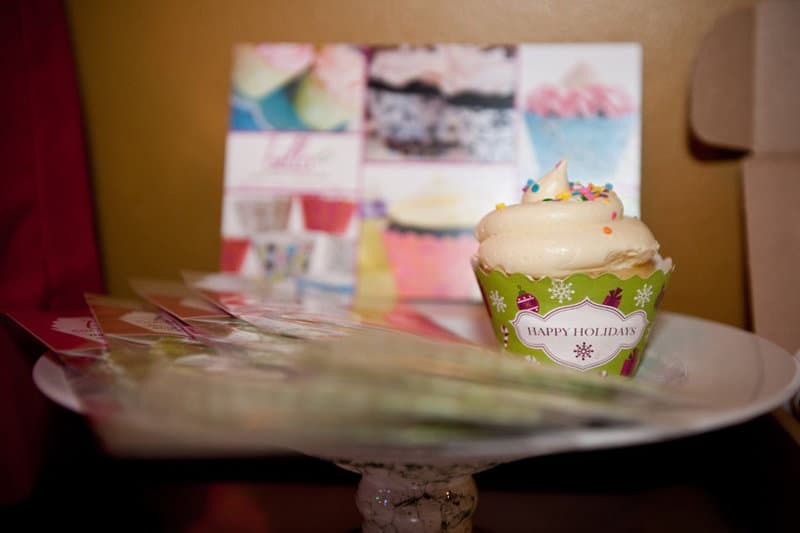 It was truly an honor to have my blog, JavaCupcake.com, host this event for Cupcakes Take the Cake. The evening started with New York Cupcakes, Trophy Cupcakes, Jenny Cookies and so many others coming early to set up their fantastic displays of cupcakes and cookies. 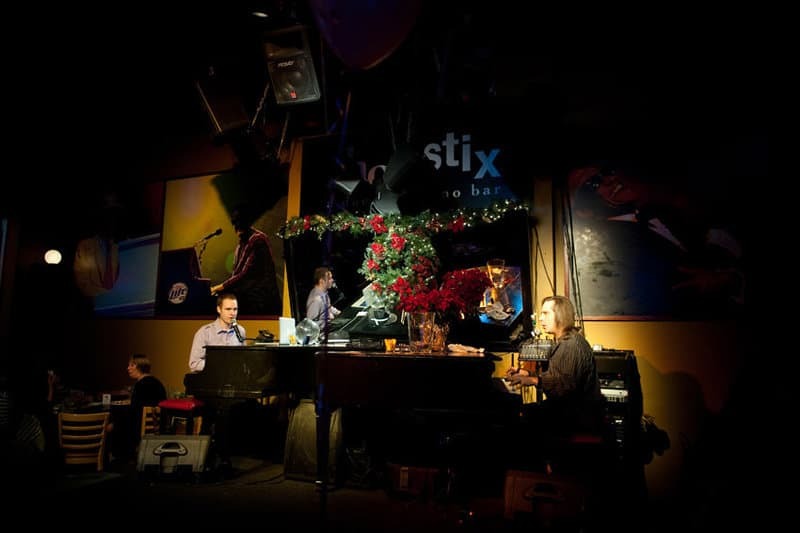 Chopstix Piano Bar in Seattle was the venue. We had about 1000 cupcakes and 250 cupcake shaped cookies donated as well as over $600 in door prizes. Plus another 100 cupcakes and frosting donated by Trophy Cupcakes for the Cupcake Piping Contest as well as kits for the contestants and winners from Luck's Food Decorating Company. 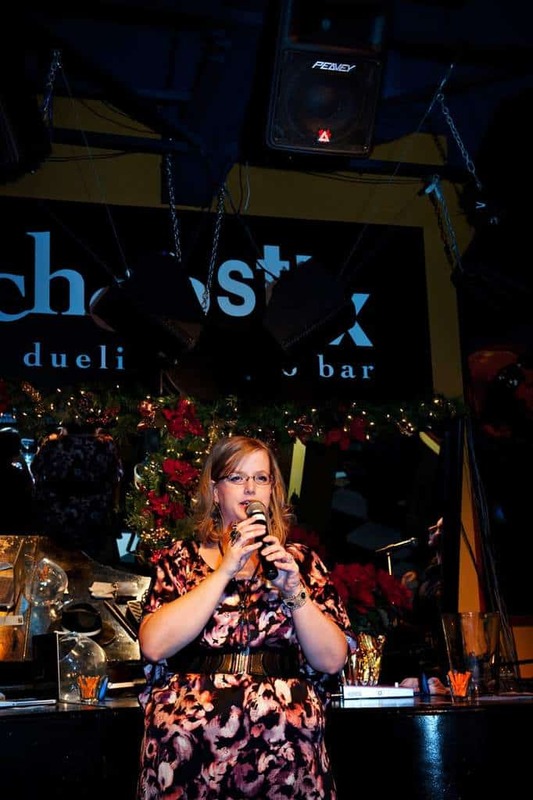 Don't forget Barbie Hull donating her time and talent too for the party! That's more than $5000 in donated fabulousness for this party! 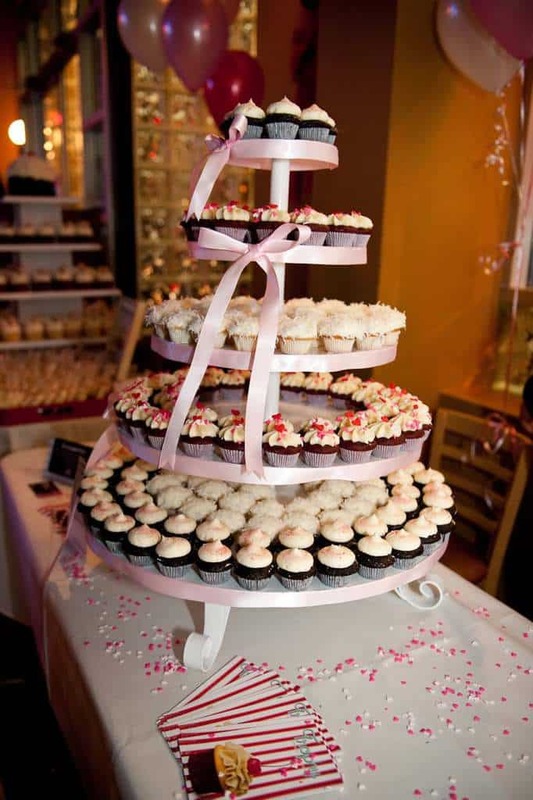 New York Cupcakes outdid themselves with this spectacular display of so many perfect cupcakes. The cake on top was so amazing. I was blown away by how beautiful the cake on top was! 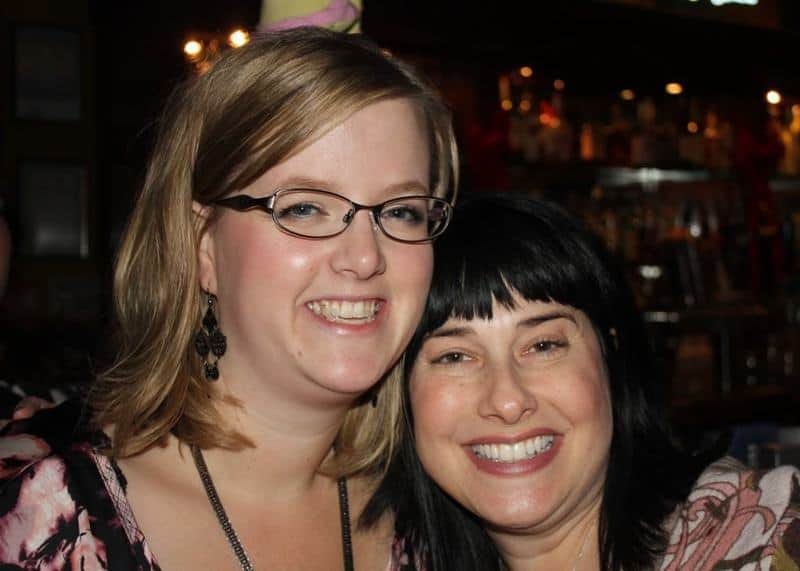 Lisa and Heather... you two do amazing work! 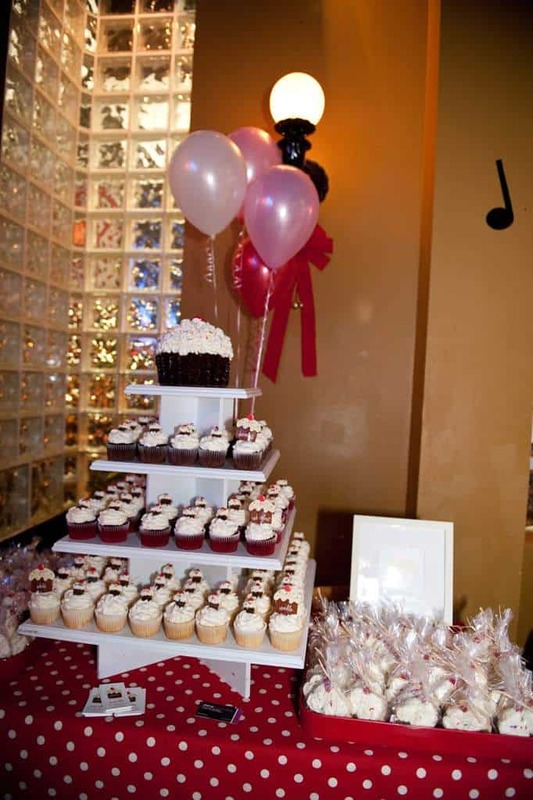 Trophy Cupcakes donated this gorgeous display of over 240 mini cupcakes in various flavors. These, needless to say were just about gone by the end of the night!! Not only did she make her signature cookies, but Jenny Cookies also made cupcakes to match!! 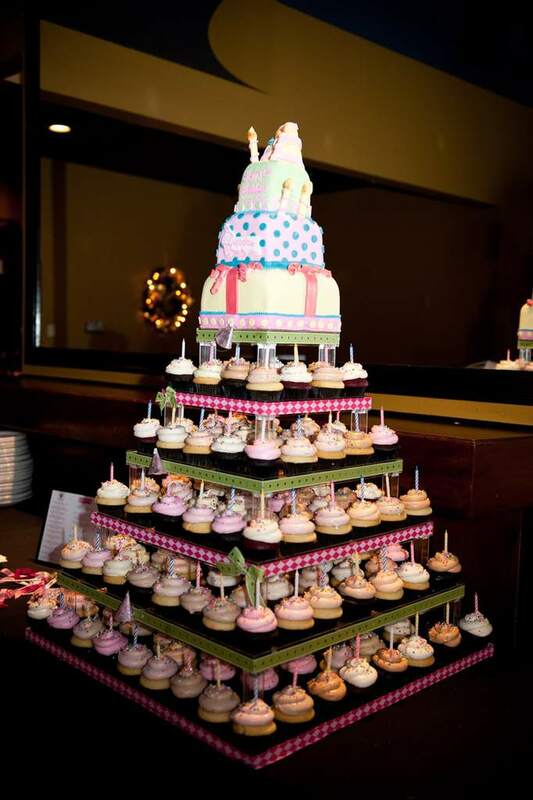 Jenny created this spectacular display of 350 cupcakes and cookies! We also had cupcake displays from some amazing local bakers such as Winkles Cupcakes, Mia Cupcakes and Free Cakes for Kids South Sound. 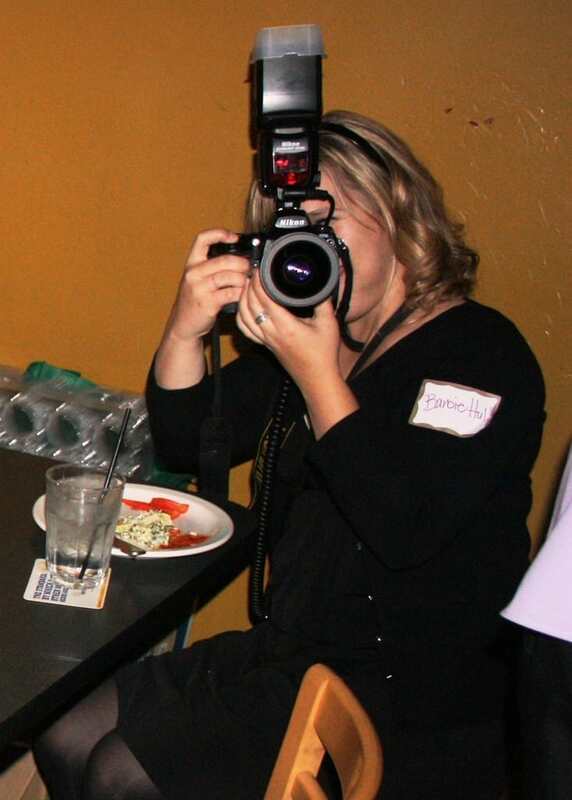 A big thank you to Kimmie from Full Circle Adventures, another intern for Cupcakes Take the Cake, for sending her custom made cookies all the way from California to the party! THANK YOU to everyone who brought these delicious goodies. They are what made this party SPECTACULAR! 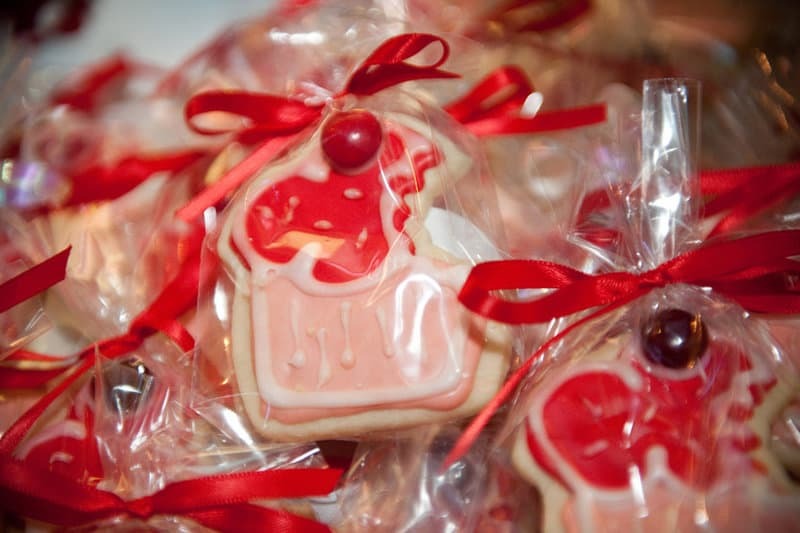 These cookies are from Kimmie of Full Circle Adventures. Custom made just for us! Cupcakes from Mia Cupcakes, cookies from Full Circle Adventures and cupcakes from Free Cakes for Kids South Sound. The entertainment for the evening featured Jordan and his partner, dueling piano players for Chopstix. They got the crowd amped up for a fun evening and played some amazing music! 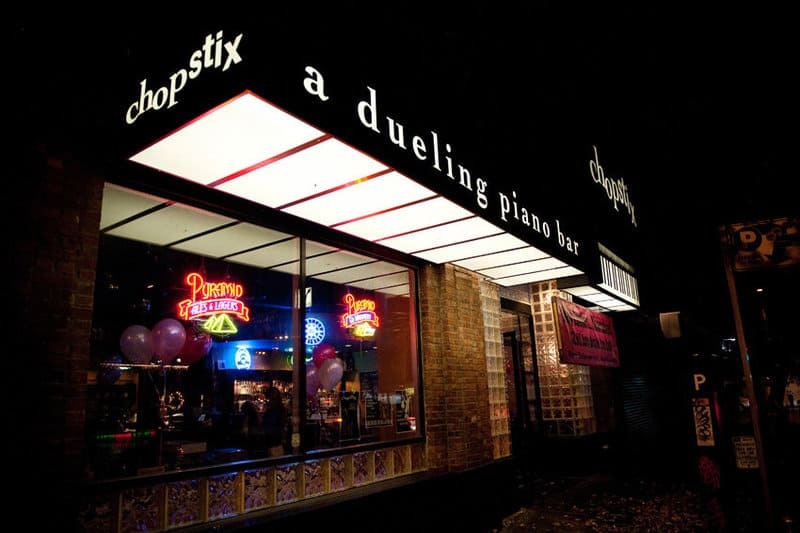 If you've never seen a dueling piano show before... you MUST head to Chopstix and check them out!!! 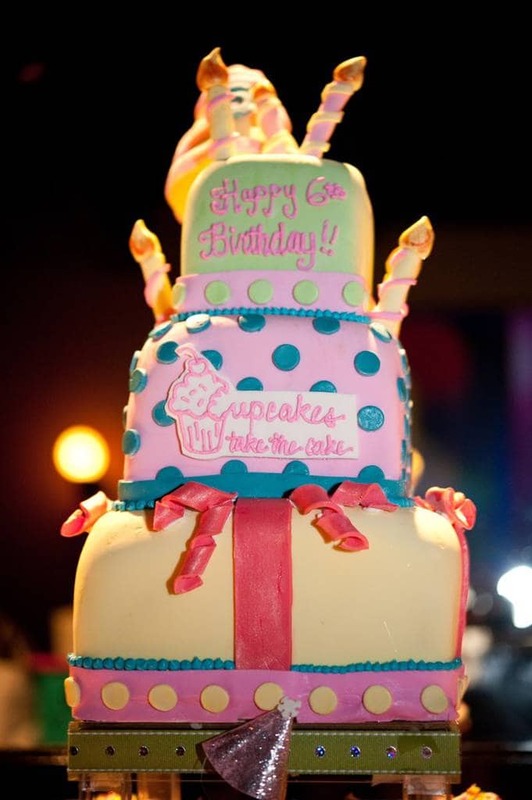 During the party, we had a Cupcake Piping Contest featuring 2 amateur bakers and 3 professional bakers. The contestants had 2 minutes to pipe and decorate a dozen cupcakes! 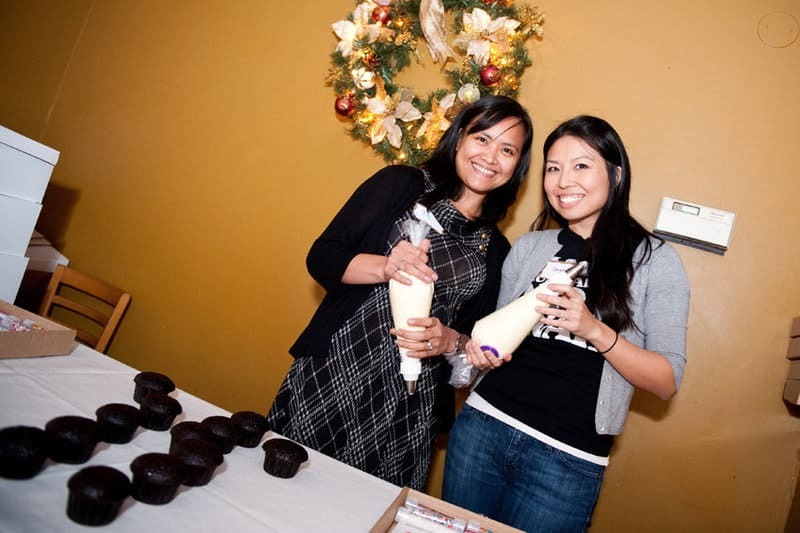 The first round featured the amateur bakers, Joy and Sarah! And round two had the pros... (from left to right) Donna of Bella Bella Cupcakes, Marisa of The Radical Cupcake and Heather of New York Cupcakes. Judges for the contest were (left to right) Carrie Middlemiss of Bella Cupcake Couture, Betsy Eves of JavaCupcake.com and Cupcakes Take the Cake, Jessie Oleson of CakeSpy.com and Jessica Stanley of Rocket Queen Cupcakes. 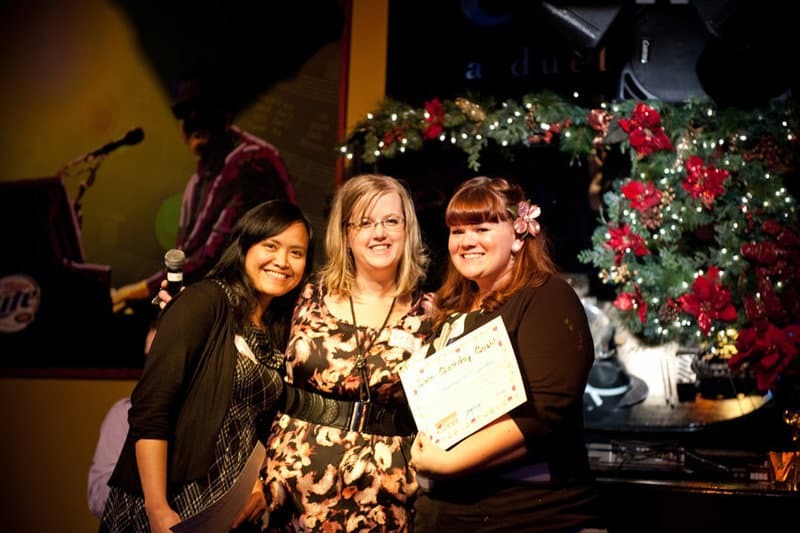 A big congratulations to Joy and Heather for displaying their excellence in cupcake piping!!! They were the big winners of the contest! 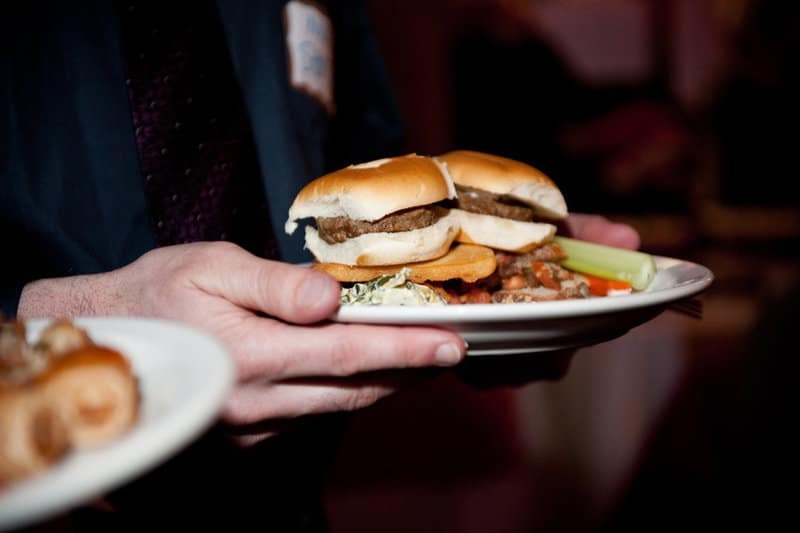 Of course, there was plenty of food and drinks, laughter and fun all night long!! 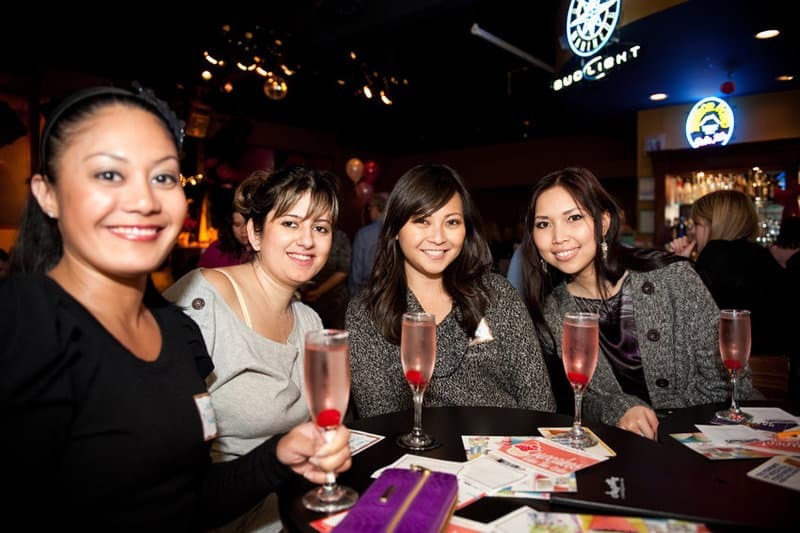 Party goers enjoyed a spread of a delicious buffet provided by Chopstix and some sweet cocktails! 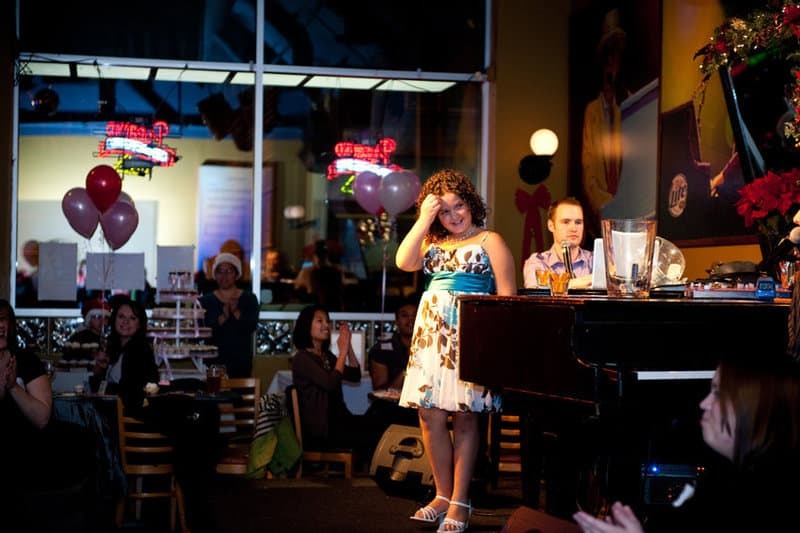 Two of our special smaller guests had some spotlight time on the stage that evening too!! 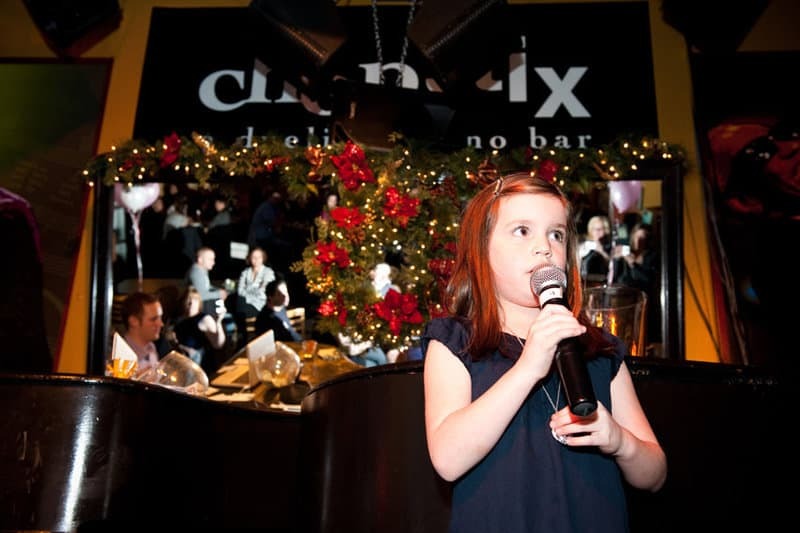 Jenny Keller's niece Camryn serenaded us with the cutest Christmas song and my daughter, Emily celebrated her 11th birthday with us and had the entire room sing Happy Birthday to her!! 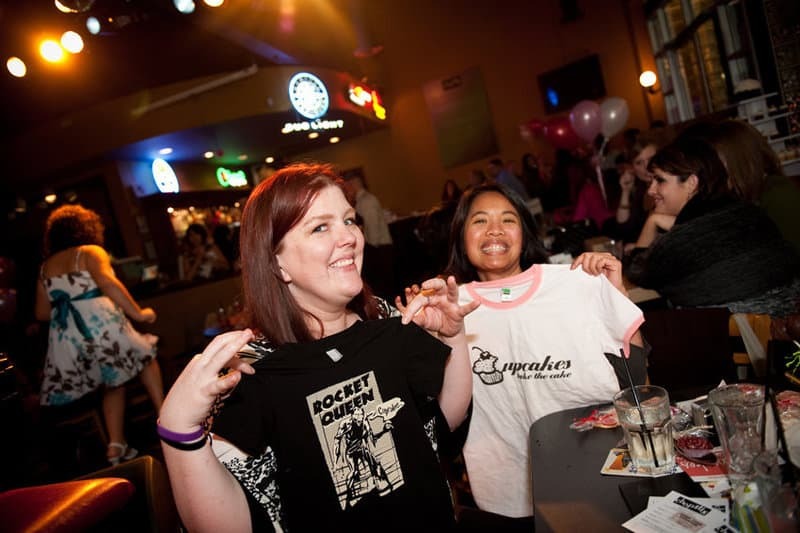 And then... came the time of the night where WE GAVE OUT PRIZES!!! 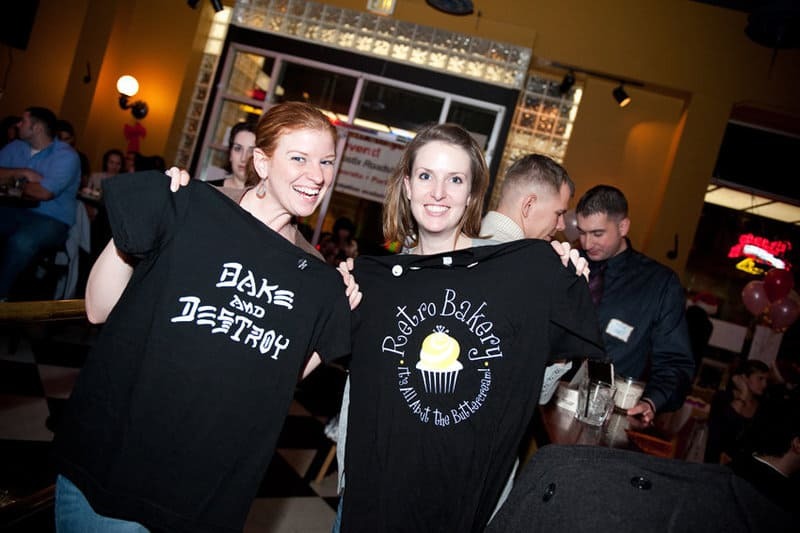 $500 in fantastic prizes donated from people like Kari of Retro Bakery and Natalie Slater of Bake and Destroy to Mia Cupcakes and Rocket Queen Cupcakes! And finally... the evening comes to an end, and I get to thank all the amazing friends and family who helped to make this evening possible. First... I need to thank my family. Without the love and support of my husband (and his wallet!) I would not have been able to do this. My daughter, Emily, well... she's why I strive to be who I am, the best version of me. 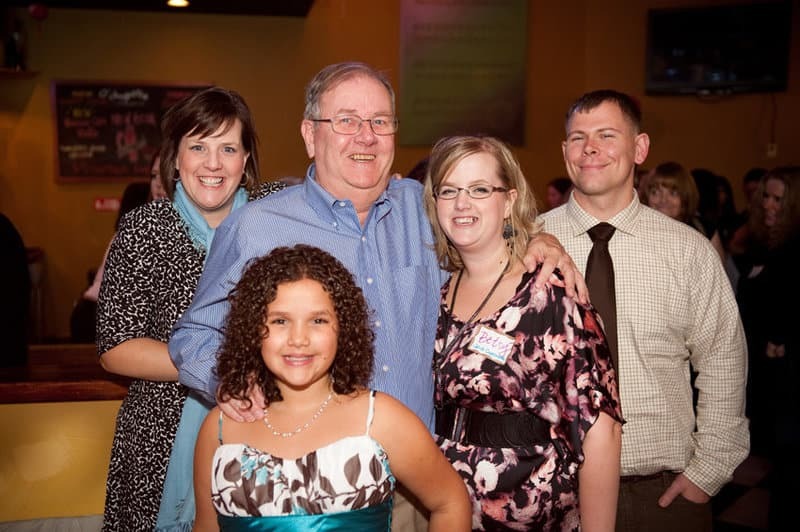 My dad and sister, they gave their time to support the party. I love you all so much!! And then... well there's my best friends. I'm tearing up now just thinking about them. I am moving to Germany in February and I do not know what I'm going to do without them. They are my lifeline... my support. Some people maybe get one best friend... I'm lucky to have four amazing women to call my best friends. 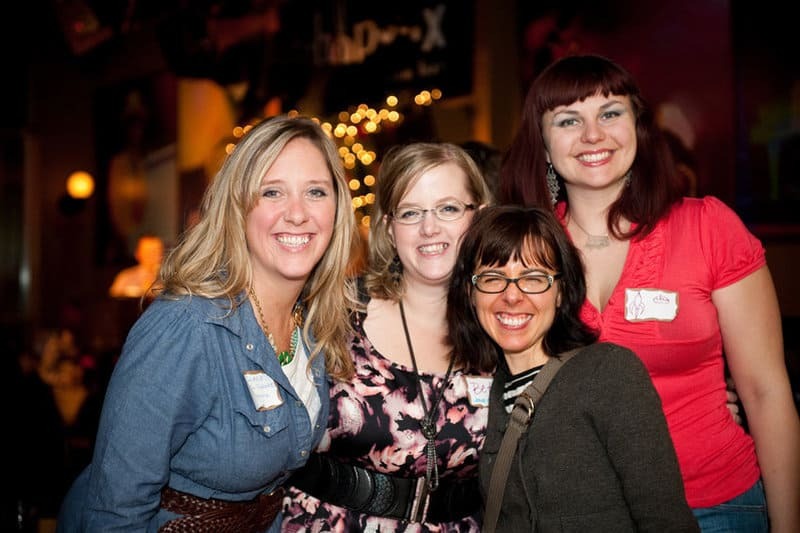 Thank you Sarah, Desiree, Heather and Jen. And finally... 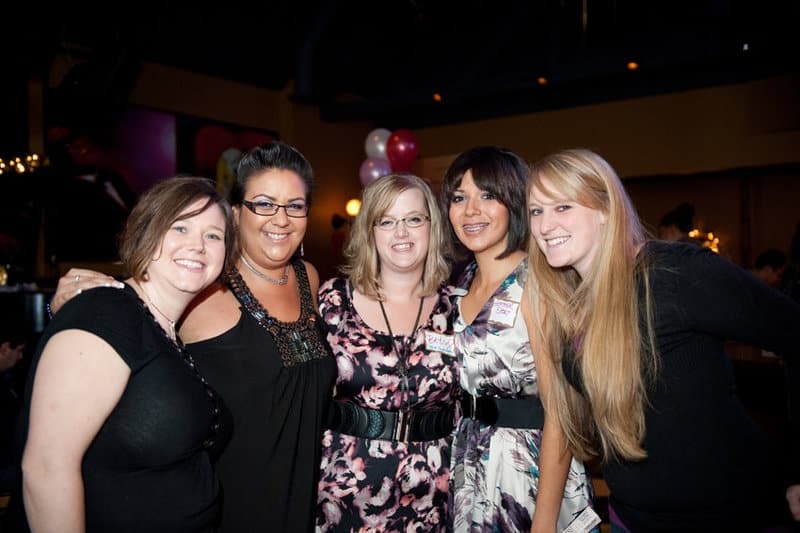 I MUST thank some of the lovely ladies who helped me plan and pull off this event! 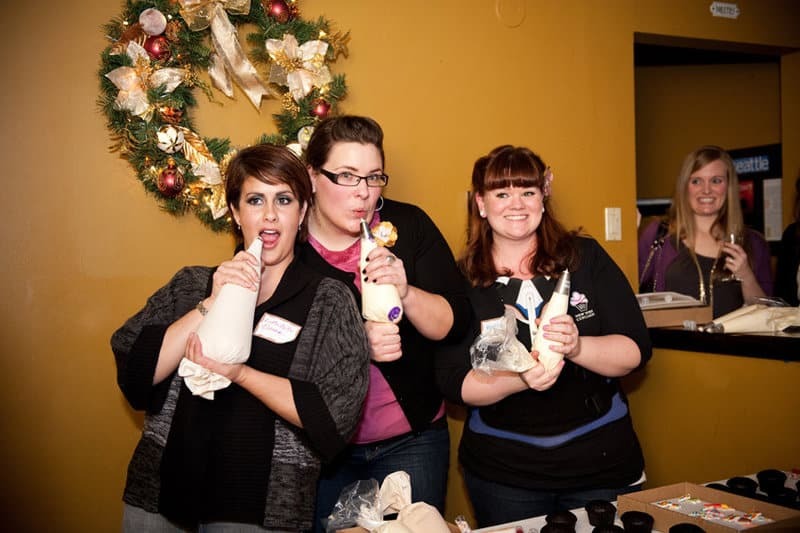 Carrie Middlemiss of Bella Cupcake Couture was my inspiration for this party. I picked her brain, took her ideas and planning and ran with them... creating this amazing party! THANK YOU Carrie for being a sounding board for me. I am so blessed to have met you and to call you a friend. I can't wait until your visit next year to Europe and we can explore the cupcake scene in England! Jessie Oleson of CakeSpy.... you are a phenomenal woman. You are a twinkling light, a beacon of happiness and a true inspiration for any artist to reach out, grab and follow their dreams. Thank you for donating the amazing art work for this party and thank you for being... well, for being YOU! 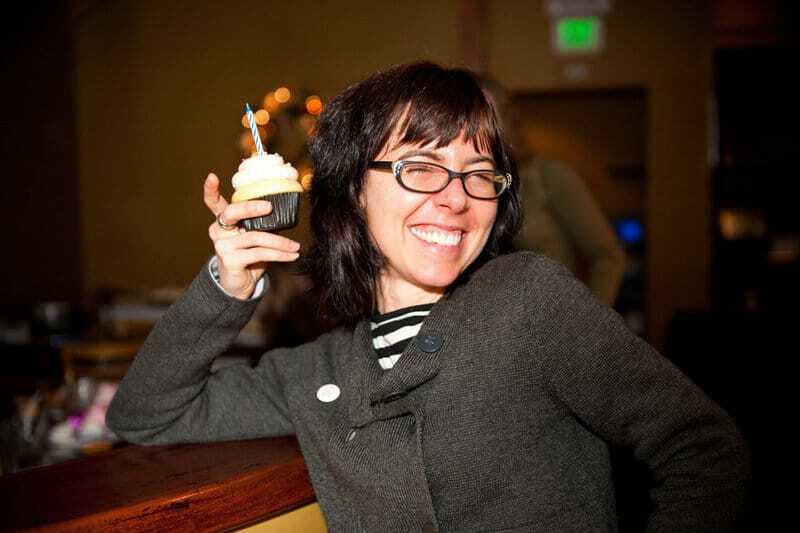 Lisa Johnson of New York Cupcakes.... I never expected a friendship with you would arise the day we met, but I am so happy it did. 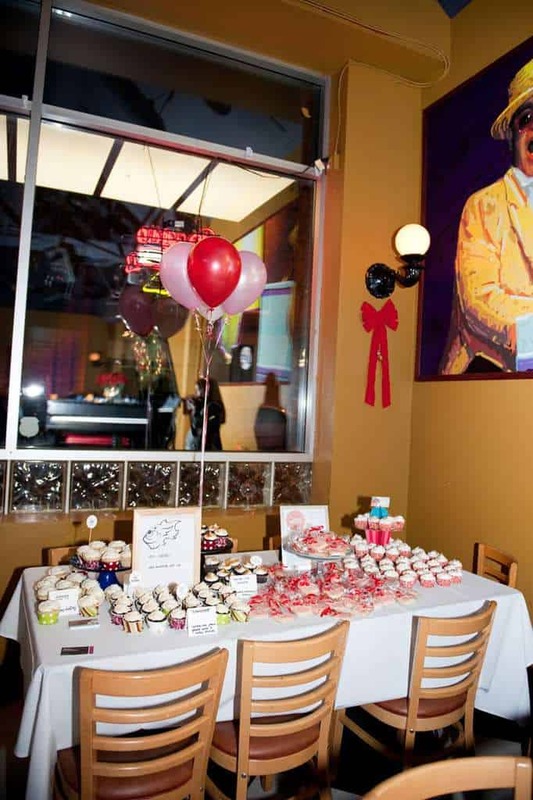 You went above and beyond with your cupcakes for this party... really making the event great! Your display far exceeded any expectations I had and I am truly thankful for the time and energy you and Heather put into it. THANK YOU Lisa. Your shop, your cupcakes... they are unique, extraordinary and definitely my favorite. And what would the party be without these fabulous photos!!! Thank you to Barbie Hull for donating her time and talent for the evening. Barbie, you were able to capture the moments of the evening that I knew I just wouldn't have time for. THANK YOU for doing this for me! The photos are AMAZING! And finally... THANK YOU to everyone who came to the party!! You made this party a success... you had fun, you laughed, you ate and drank and you enjoyed the cupcakes!! You, the readers of Cupcakes Take the Cake are what make the blog such a success. 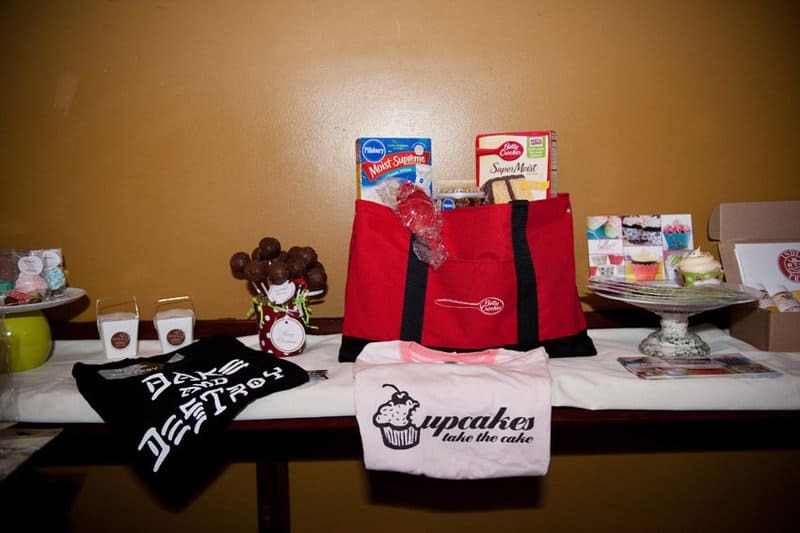 THANK YOU for your continued support of Cupcakes Take the Cake!! 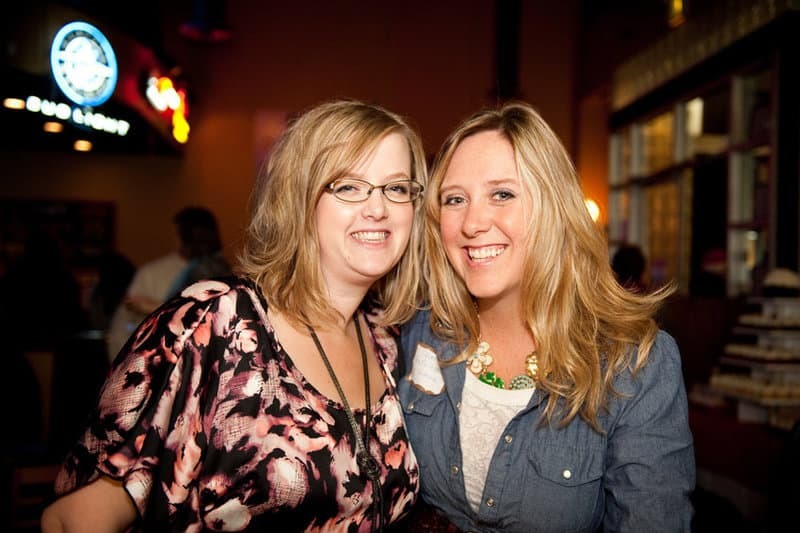 Below is a slideshow of over 200 photos from the party!!! Enjoy! 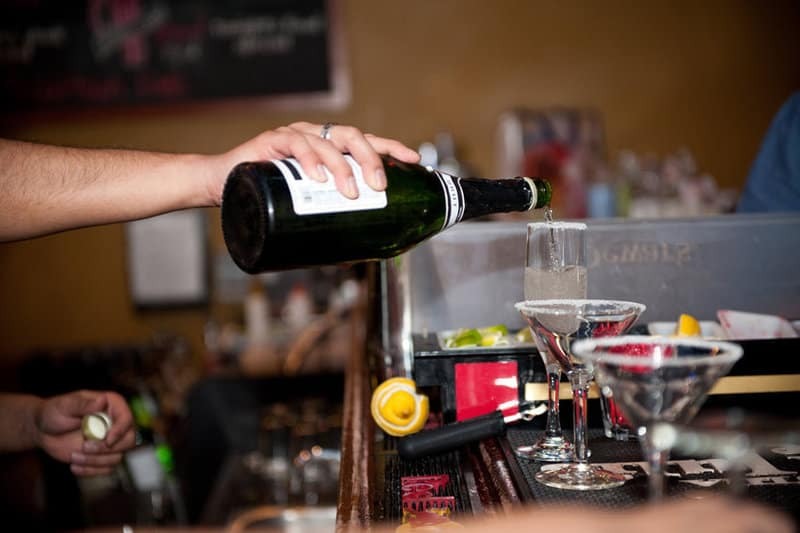 Looks like a FABULOUS time. GREAT JOB!!!!!!!! Loved Mia Cupcake's 'Bombshell". How can you not like a combo of Guinness cake with Jameson Whishey Ganache and Bailey's Irish Cream frosting?